This announcement follows the earlier FAA approval given for the 737NG series back in 2015 and complements the existing approvals given by EASA. liTeMood® has become the undisputed system of choice for operators of narrow-body Boeing fleets and is already delivering significant cabin transformations with multiple US and Latin American airlines. 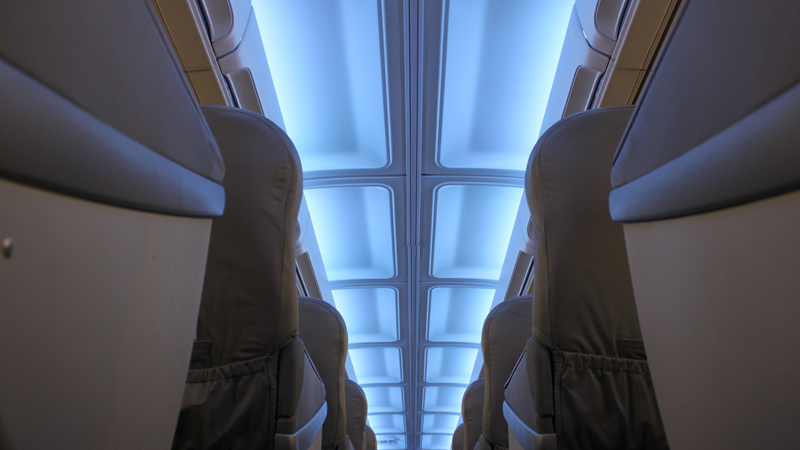 The simple plug-and-play lighting system, requires no aircraft modification and is easily installed under a single STC, enabling operators to bring the lighting quality of non-LED equipped aircraft cabins up to a standard comparable to the latest new aircraft in just a couple of hours. STG Aerospace is currently exhibiting at MRO Americas which is being held at the Orange County Convention Center in Orlando, Florida. On Stand 527, visitors will be able to see a wide range of the company’s photoluminescent and LED lighting products.